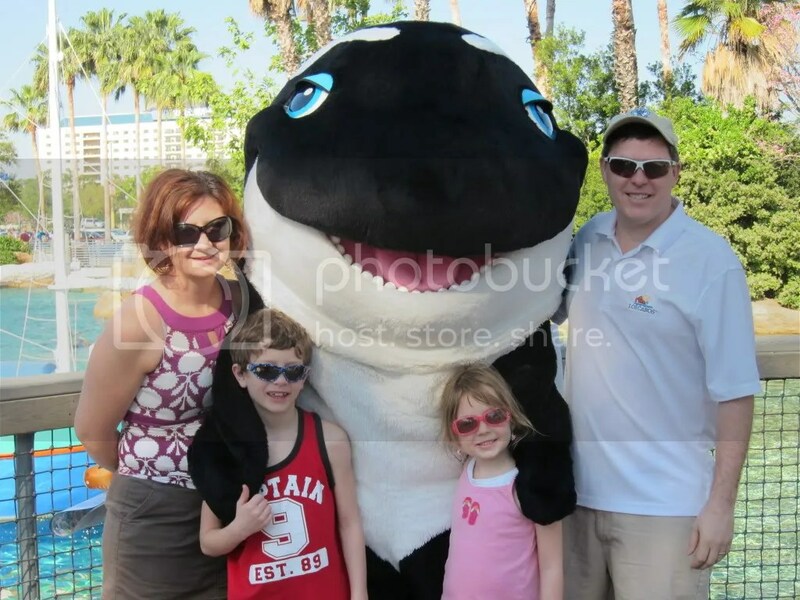 This spring, my family and I headed to Sea World for the first time during a trip to Florida. We’ve been to Disney several times in the past but had yet to hit other Orlando-area attractions. We hit the park bright and early with our walking shoes on. Shamu was there to greet us and take photos after we entered (OK, not the real Shamu, but the fuzzy one). The next thing we saw was a rollercoaster where the riders are under the tracks. My conservative, small kids said “no thanks” but loved to watch the people as they rode by. We decided to keep it low key and headed to the pets show first. Great choice – the whole family loved the talented rescue dogs, cats, rats, birds and pig (and other creatures I’ve left out). At the end of the show, we were able to pet a few of the animals. We thought the Shamu show (now a new show called One Ocean) would get crowded later in the day so we headed there next. It ended up filling up but we were there early enough to sit in the splash zone. The whales are beautiful and amazing creatures and we were on the edge of our seat the entire show. Luckily, we were on the edge of the splash zone so we only had a few sprinkles, although we did see one of the ushers get drenched. 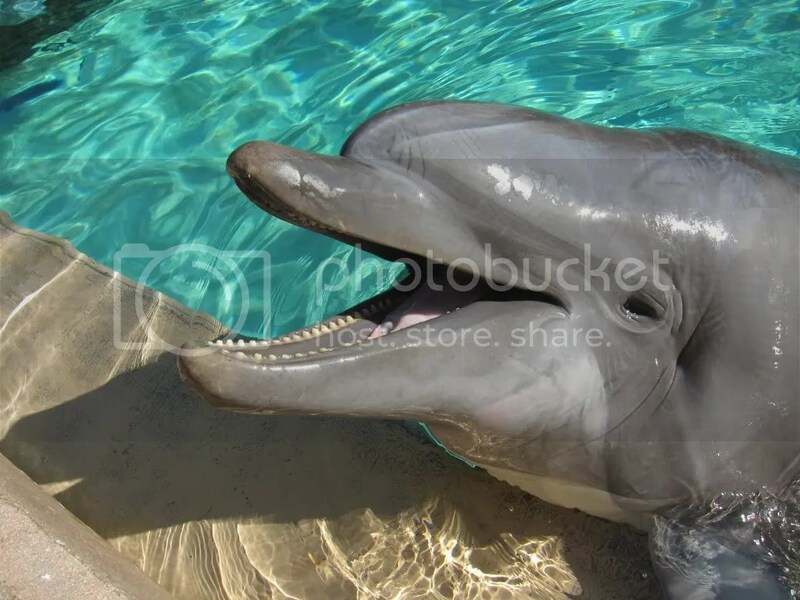 My daughter’s favorite show was the dolphins. The acrobats with the dolphins had her in love. Even better, we were able to say hi to the people as we were leaving the theater area. My son enjoyed the Clyde and Seamore Take Pirate Island show with the funny otters and the walrus who makes a big splash. The highlight of mom and dad’s day, though, had to be the dolphin feeding experience. This was the first time any of us had touched or feed a dolphin. The kids were a bit nervous with a big creature coming towards them and didn’t quite get the “feed with one hand, pet with the other” move down but loved seeing them up close. Overall, we loved the laid-back vibe and unhurried atmosphere of Sea World. The shows, sprinkled in with a few rides and hands-on activities are a great mix to keep any family entertained. 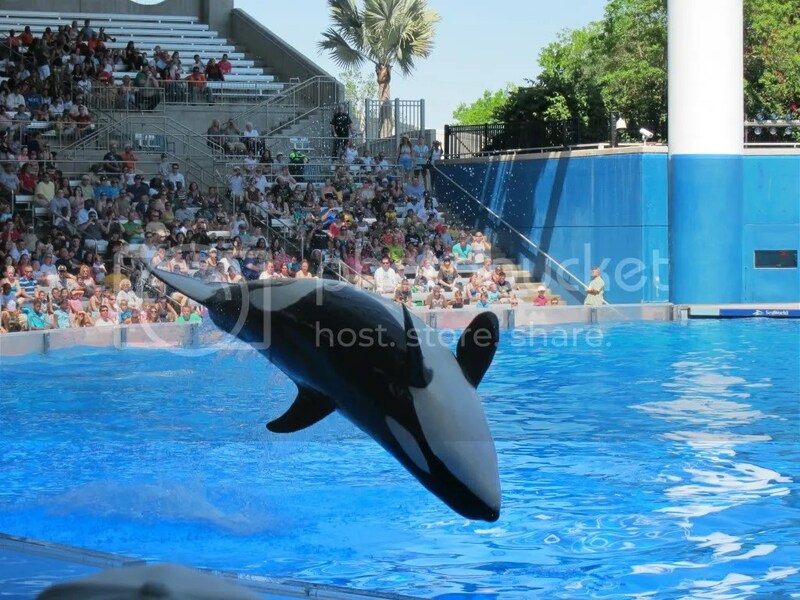 I can’t wait to head to San Diego this summer and visit Sea World on the West Coast!